The basic tenet of our operations is local community based and community driven development. At the core of this development is the provision of decent basic education for the children and young men and women in the community. Our projects are both capital and programmatic. LIBRARY: Renovation of school building to be used as library. Equip and furnish the library. Employ a librarian. Purchase textbooks for the Students and Teachers. Purchase and maintain a riding machine which the teachers can ride to the Local Government School Headquarters to attend the required monthly and quarterly meetings with the Local Government officials. Repair the dilapidated roads leading to the villages.These very bad roads make recruitment of teachers from outside the villages virtually impossible. In addition, the farmers and merchants in the villages face significant difficulty transporting their crops and products to the markets in the surrounding towns. Thus, the parents of the school children, most of whom are farmers can not even sell their farm products, and this situation perpetuates the cycle of poverty. 1. Continue to pay the salaries of the teachers needed to meet the complement of teachers required in the schools. 2. Purchase basic equipments and teaching materials. 3. PACAW LEADERSHIP ACADEMY. This is a biennial intensive one week leadership course for the teachers during the long vacation. The course will focus, inter alia, on leadership, and on the content of the civics lessons for the students. PACAW, Inc. is fully aware of the fact that the NEW Education Culture it intends to introduce to the pupils will only be effective if the teachers are well grounded in its basics. Thus, it is important to engage the teachers in the content of this philosophy of education which they will then pass on to the students. Two vital components of PACAW Inc,'s approach to the education of these future leaders of Africa were addressed in Summer 2014. 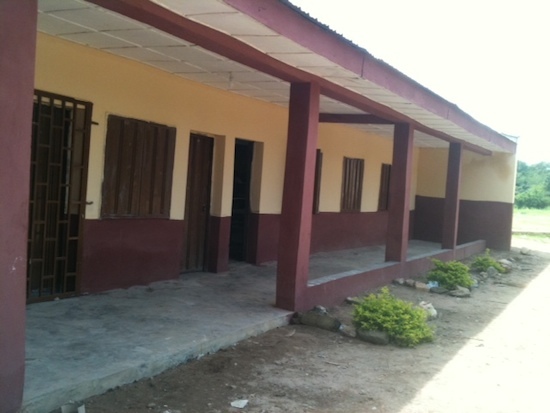 The first was the completion and equipping of the libraries for the primary and secondary schools in Koro-Ekiti, Kwara State, Nigeria and the completion and equipping of the Computer Center in the primary school in the same village. 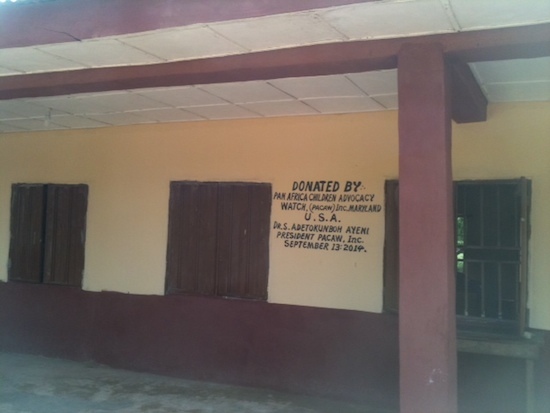 The dedication ceremony of these facilities was performed on September 13, 2014 on the grounds of the primary school. The second major project was the "FIRST ANNUAL PACAW Inc. LEADERSHIP ACADEMY" for the teachers, young graduates from tertiary educational institutions in Nigeria and community leaders which took place from September 1-5, 2014 in Kwara State, Nigeria. One day was devoted to each of the following topics: COURAGE; EDUCATION; JUSTICE; WISDOM and PUBLIC SERVICE, following the wordings on our LOGO. The teachers were seriously admonished to pass the information and knowledge they acquired during the academy to the students as often as possible; daily, if possible. Please see the NEWS AND PUBLICATIONS SECTION for the addresses delivered during the dedication ceremony of the libraries and computer center, and the schedule for the first three days of the PACAW ACADEMY. Nigeria. Donated by Pan Africa Children Advocacy Watch (PACAW) Inc. It was dedicated on September 13, 2014. 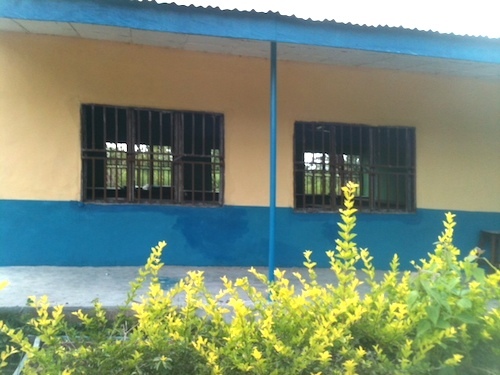 The new library for the secondary school at Koro-Ekiti, Kwara State, Nigeria. Donated by Pan Africa Children Advocacy Watch Inc. It was dedicated on September 13, 2014. Participants at the PACAW Inc. 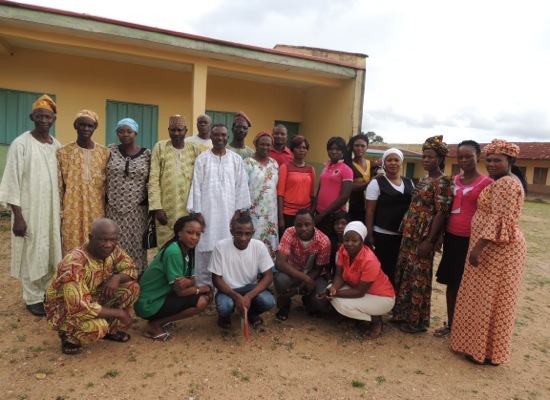 Leadership Academy, September, 2014 and Dr. Ayeni, (middle row, fifth from left).